I am so excited to finally write this post. 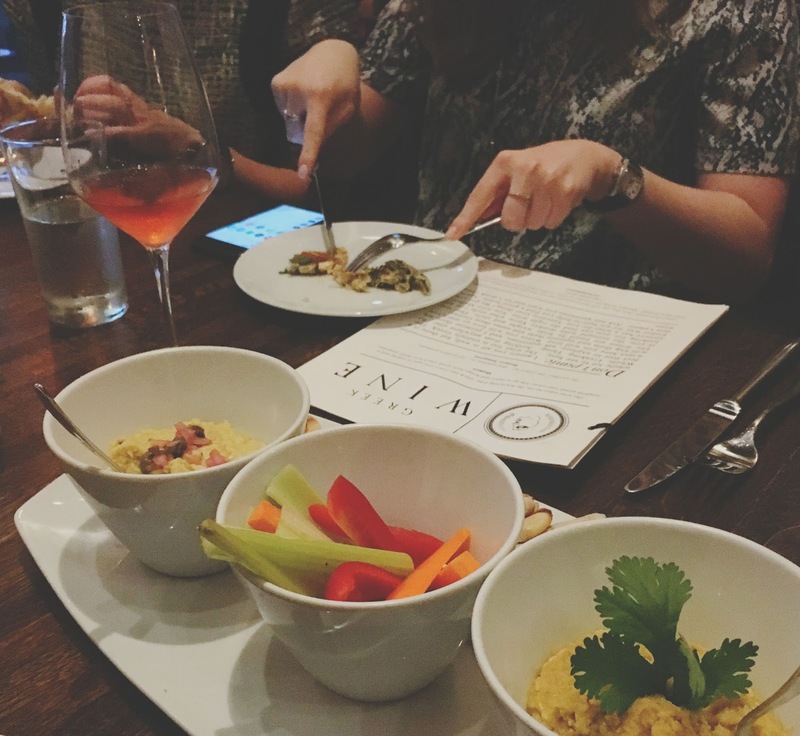 Because writing this post means I get to re-live the incredible meal I had at the restaurant Helen Greek Food and Wine again, and let me tell you, it really was something special. A few weeks ago, before attending a tasting at The Tipsy Dessert Bar with a bunch of Houston food blogger friends, we decided to have dinner around the corner at Helen Greek Food and Wine. This crew of incredibly talented, smart, and wonderful women included Erika, Renia, Lisa, Renee, Sarah, and Claire. And speaking of The Tipsy Dessert Bar, Congratulations to Kelly Cornelison, who is the winner of my 2016 Houston Press Menu of Menus® Extravaganza Giveaway!! Thanks to everyone who participated! 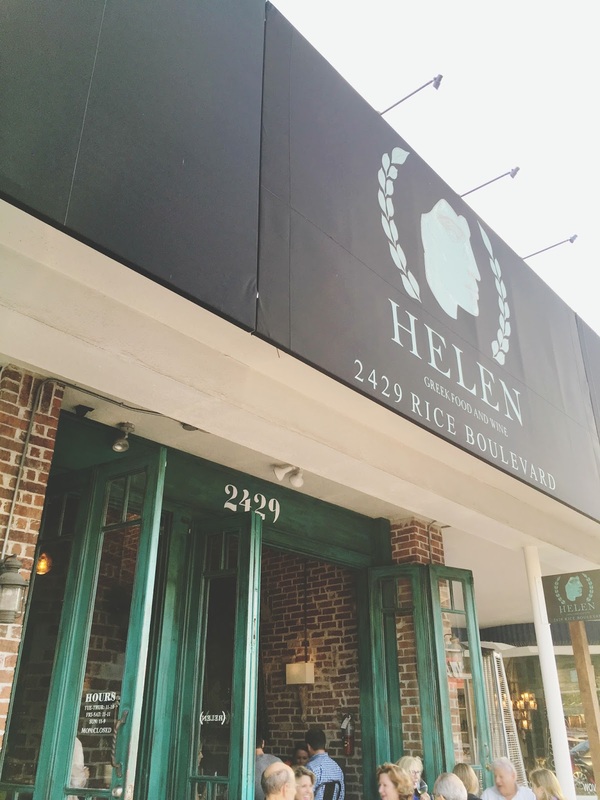 Nominated for a James Beard Award in the category, "Best New Restaurant," Helen is located in Houston's Rice Village area. Despite all the buzz, I have to admit I was mildly skeptical of the cozy, adorable, exposed brick-walled, new restaurant on the Houston block. Sure, I love Greek food, and rarely am I disappointed in it. As a whole, it's just plain good. But I'd never experienced a restaurant reinventing the wheel and bringing Greek food to the next level. First let me say, the service was impeccable. I had called ahead to give them a heads up we were coming (yes, they knew we were food bloggers, but I am positive the service would have been incredible, regardless). During my phone call, I let them know that I am a vegan, and they assured me it would not be an issue. 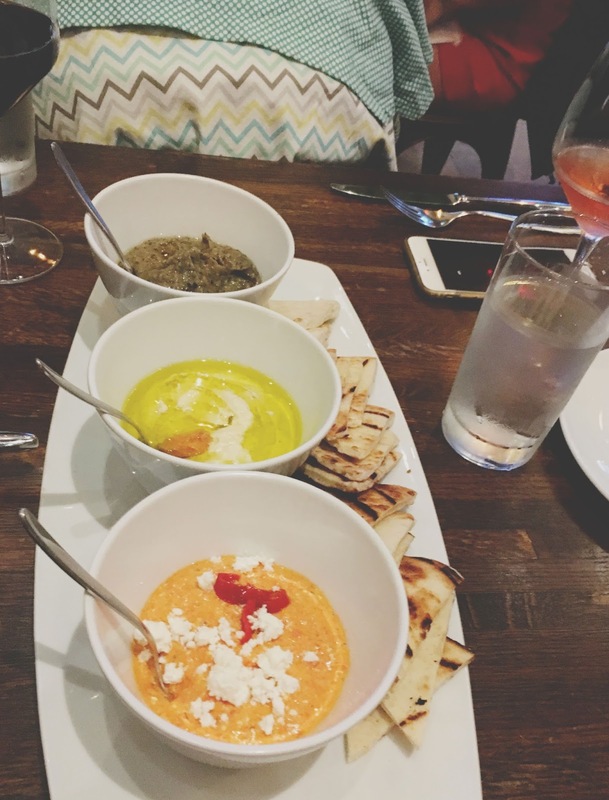 After ordering a bottle of the crisp, refreshing, dry Alpha Estate Xinomavro/Syrah rosé (and quickly discovering that I adore Greek wine), we decided to start with the restaurant's trio of dips appetizer. Initially, our server told me that I'd be able to try one or two of these dips. But when she brought the plate out, she informed me that the recipe had changed, and none of the dips were vegan. However - to my delight - she said they'd be bringing out some other dips for me! I was presented with fresh cut veggies, a black eyed pea dip, and a chickpea hummus. The black eyed pea dip was light, had a slightly nutty texture, and was just incredible. It almost tasted like a milder, more thoughtful, split-pea soup, but in dip form. It was absolutely fabulous spread across the pita and veggies. And the hummus just spoiled me rotten. Like the black eyed pea dip, the hummus had a wonderful, mouthy texture. It was insanely fresh, and simply luscious. I adored this dip as well! Claire and I decided to split the citrus and fennel salad, asking for the feta on the side to make it vegan. And yes, it tasted as beautiful as it looked. 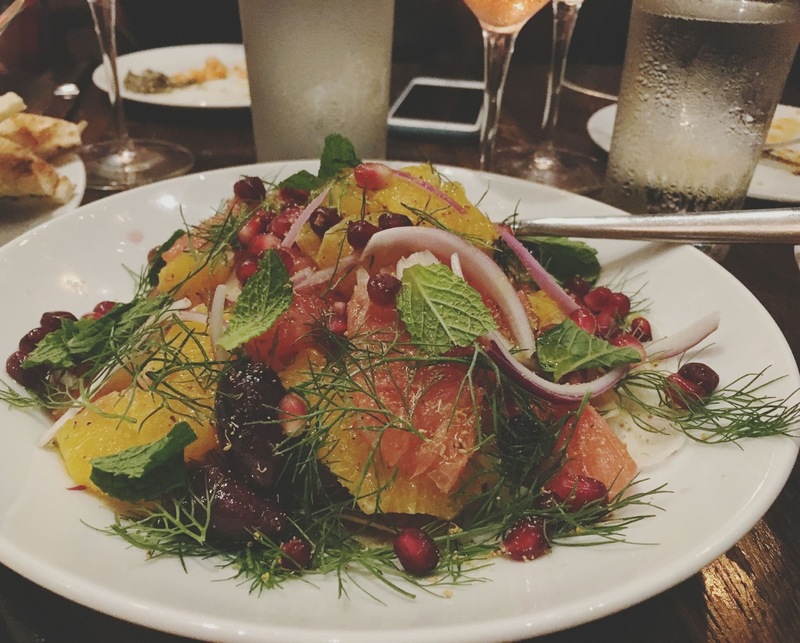 The salad was comprised of grapefruit, orange, red onion, kalamata olives, mint, pomegranate seeds, and fennel, and was tossed in a light vinaigrette. I'm typically not grapefruit's #1 fan, but this salad turned me into a believer.<~~(How much do you hate me for really really wanting to type "belieber" just then?) The bitterness of the grapefruit was counteracted by the saltiness of the olives, the sweetness of the pomegranate seeds, and the coolness of the mint, and everything wove together beautifully. Even without feta, I loved the salad, though I'm sure it would add a lovely level of creamy softness to the dish! For my main course of food, I asked if they'd be able to create the "make your own gyro" plate with vegetables instead of meat. They said absolutely! I was informed that everyone in the kitchen said my dish looked incredible. Other servers came to our table and said they wanted to try it. I told them if they added it to the menu, all I ask is for 10%. Claire said they should just call it "The Kim." And as incredible as this dish looked, it tasted far superior to anything I could ever possibly imagine. The main "meat" (for lack of a better word) of the dish was a combination of carrots, oyster mushrooms, green cauliflower, and cabbage, and for reasons beyond my comprehension, it was absolutely sensational. The vegetables were savory, slightly sweet, caramel-y, and offered wonderful varying textures. 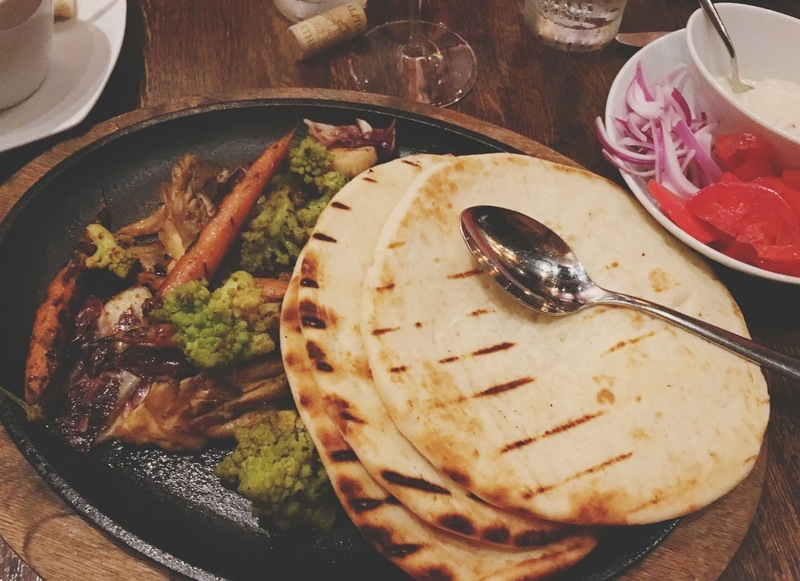 The utra fresh, lightly charred pita was the perfect vessel for the vegetables. Topped off with tahini, fresh tomatoes, and leftover hummus I had from the dips, the combination of everything was an absolute dream. Each bite was pure, undeniable bliss. It really is hard to explain how and why everything I ate on that beautiful Houston evening was so incredible. All of the food we were presented with was carefully prepared, fresh, flavorful, and absolute magic. 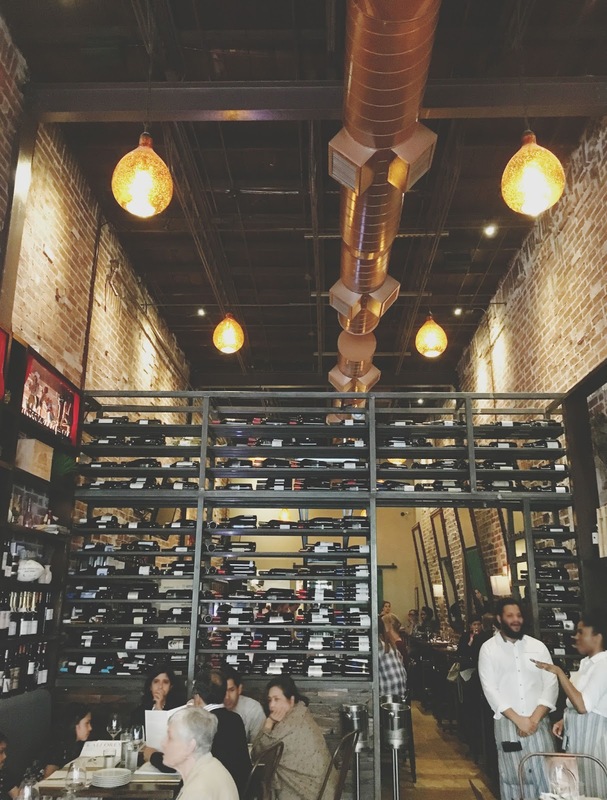 Helen Greek Food and Wine is a wonderful new addition to the Houston restaurant scene, and you really must go! Be sure to ask for "The Kim."